This Elvis Presley biography Graceland √ home of Elvis Presley page is dedicated to providing quality Elvis Presley biography information, pictures and articles for your entertainment. 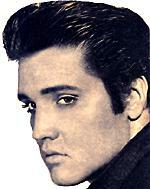 The contents of this Elvis Presley site is written by a fan for his fans about Graceland √ home of Elvis Presley. Graceland is the name of the large white-columned estate of Elvis Presley located at 3764 Elvis Presley Boulevard in Memphis, Tennessee. It is currently used as a museum that was opened to the public in 1982, and was listed in the National Register of Historic Places on November 7, 1991. On March 27, 2006, Gale Norton, United States Secretary of the Interior, designated Graceland a National Historic Landmark ≈ joining the White House, the Alamo, Pearl Harbor Naval Base, and Mount Vernon, amongst almost 2,500 sites in the United States and its territorial authority sharing this designation. Elvis moved into Graceland in the late 1950s after he had moved out of a house located at 1034 Audubon in Memphis, Tennessee. On August 16, 1977, Elvis died there as a result of an overdose of mixed drugs and complications of severe heart disease. The suggestion that he died has often been questioned by people who think he went into hiding. He was buried at Graceland, and the estate has become a pilgrimage for Elvis fans across the world. An annual procession through the estate and past Elvis' grave is held on the anniversary of his death. The largest gathering assembled on the twenty fifth anniversary in 2002. One estimate was of 40,000 people in attendance, despite the heavy rain. 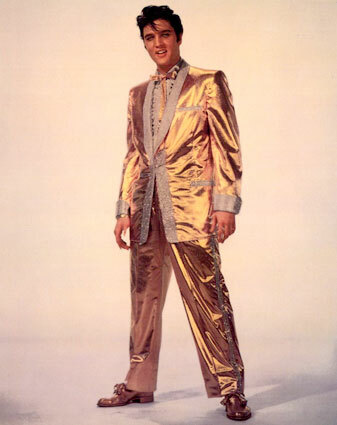 Other attractions at the Graceland Estate include a museum containing many Elvis artifacts, like some of his famous Vegas jumpsuits, awards, and gold records, Elvis' jet, the Lisa Marie, and Elvis' extensive auto collection. Recently Sirius Satellite Radio installed an all-Elvis radio station on the grounds. Subscribers all over North America can hear Elvis music from Graceland around the clock. In early August 2005, Lisa Marie Presley, Elvis' daughter sold 85% of the business side of her father's estate (whilst keeping the Graceland property itself, as well as the bulk of the possessions found therein), and turned over the management of Graceland to CKX Inc., an entertainment company that also owns the American Idol TV show. In February of 2006, CKX Chairman Bob Sillerman announced plans to turn Graceland into an international tourist attraction on par with the Disney or Universal theme parks, sprucing up the area mansion and double the 600,000 annual visitors. Sillerman’s goal is to enhance the "total fan experience" at Graceland to compel visitors to spend more time and money. The company is working with Orlando, Fla.-based Bob Weis Design Island Associates to improve the tourist area around Graceland while keeping intact the historic home owned by the singer’s daughter, Lisa Marie. Sillerman, who has been speaking with investors and developers, said he will ask local governments to help improve some of the public spaces around Graceland. He wants to expand the visitor center and exhibit space to showcase thousands of pieces of Elvis memorabilia that have never been seen. There’s also the possibility of a new hotel, or an expansion to the nearby Heartbreak Hotel. Tours of the museums at Graceland are available, though no flash photography or video cameras are allowed inside. The tour of the Graceland mansion is an audio tour, and guests are not allowed in the 2nd floor area. The tour enters through the front door, and living areas and the kitchen are first on the tour. The tour continues through the basement, where Elvis' media room can be viewed (with three televisions!). A bar and billiards room can also be found. The tour continues back upstairs, through the famous Jungle Room, then outside to Elvis' grave. Other tours include Elvis' auto and aircraft collections. Description of Elvis Presley biography site contents: This site contains Elvis Presley biography information, Elvis Presley biography, history on Elvis Presley life story, Elvis Presley pictures and photos, Elvis Presley song lyrics, Elvis Presley movie resources, free e-books and articles listed for your convenient search in subjects of: Elvis Presley pictures and photos, Elvis Presley song lyrics, Elvis Presley movie resources, Elvis Presley childhood, Elvis Presley Band members biography, Elvis Presley girlfriends, Elvis Presley biography, Elvis Presley spiritual medium stories, Elvis Presley Memphis mafia stories, Elvis Presley diary quotes, Elvis Presley movie and music details in relation to the Elvis Presley autobiography and interviews of friends and family members for the Elvis Presley biography website written by a fan for his fans.